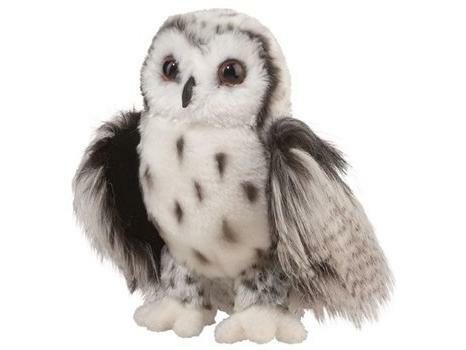 Crescent is a beautiful Silver Owl with soft, fluffy fur, ranging in color from white to black. Crescent has some black spots on his white chest. His wings are striped and his grayish-white fur (mostly on his back and top of head) is covered with small dark spots. He is approximately 10 inches tall. For 50 years, Douglas Company has been making fine quality stuffed animals with unique gestures, endearing expressions and irresistible softness. For children 3 years and older.